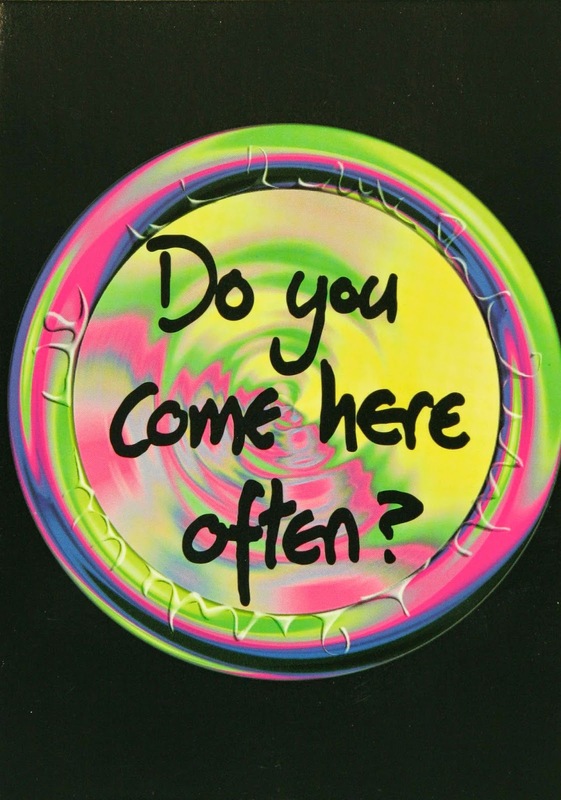 In this week's blog post, current LHSA intern Stephen talks about his experiences while working on our Wellcome Trust funded project, 'Policies, Postcards and Prophylactics: a project to catalogue and conserve LHSA'S UNESCO-awarded HIV/AIDS Collections (1983-2010). As an intern with LHSA I started to work with the HIV/AIDS collections two weeks ago. I have been involved in a variety of projects. Firstly, I attended a meeting on SCRAN, a Scottish image resource website where LHSA will soon be posting new photographs. SCRAN is a wonderful tool for teachers and pupils because of the breadth of subjects covered. 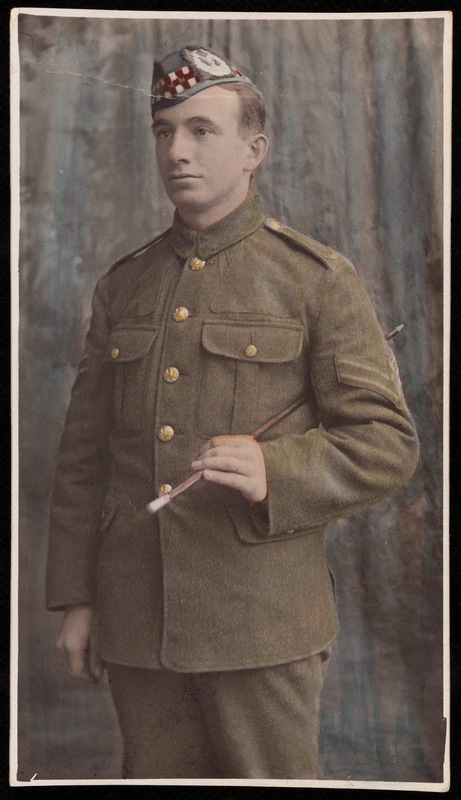 Images can be used for teaching/studying purposes and institutions can create their own educational resources on specific topics, such as a lesson on the First World War. Secondly, LHSA aims to use the rich and varied HIV/AIDS collections (particularly its images) to design an educational website, and I have taken part in that project. The resources will match the criteria set by the Scottish Curriculum of Excellence in the Health and Wellbeing or Expressive Arts areas so I have been involved in producing ideas and some draft resources. Thirdly, I have participated in several outreach projects, posting on Flickr and Facebook. On Flickr I have expanded our selection of albums of pictures of condoms, condom cases, posters, pins, badges, balloons, watches, t-shirts etc. 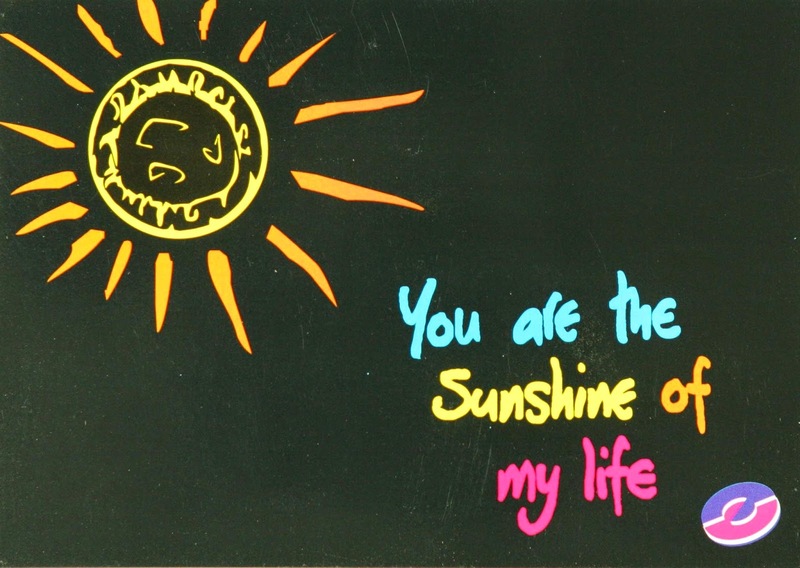 Every item that could be printed on was used to inform the public on the dangers of HIV/AIDS. On Facebook and Twitter I have been posting images of the items I have found most interesting every day for a week. To finish with I have been in charge of listing the items in a collection we have referenced as GD22, which corresponds to the Take Care Campaign collection. Box listing consists of a rapid listing of items in order to prepare the collection for arrangement and cataloguing. GD22 is an interesting collection to be working on because it contains many of the promotional objects designed for the campaign. 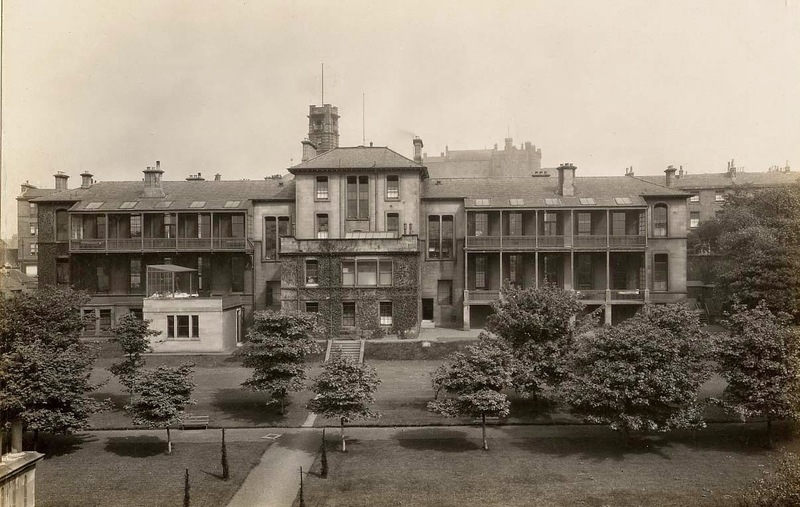 Among the NHS buildings around the site of Lauriston Building, a notable Victorian structure which still survives in use today, is that of Chalmers Hospital. The Edinburgh plumber and burgess George Chalmers (1773-1836) left the residue of his estate (worth £27,000) for the foundation of an infirmary in his will. At the time of his death, this money was not sufficient to build a hospital, therefore it was invested in government stock until 1854 when it had accrued enough for the hospital plans. Construction of the hospital began in 1860 and it opened on 22 February 1864 without ceremony. As originally designed, the Chalmers Sick and Hurt Hospital consisted of 48 beds in four wards, two of which were fee paying and two of which were for non-paying patients. Nurses’ quarters were only added in 1887. A programme of modernisation was carried out in the early 20th Century using money subscribed from the funds of the hospital faculty, in commemoration of Queen Victoria’s Diamond Jubilee in 1897. These included electric lighting, a new operating theatre, new surgical staff and an anaesthetist. The renowned surgeon Sir Harold Stiles was appointed during this period. The hospital was not used for war patients during the First World War. However, in 1939 Chalmers Hospital was requisitioned by the government for civilian casualties of World War II, though in the event it was used for many service personnel also. In 1948, with the formation of the NHS, Chalmers Hospital came under its control and the practice of having fee paying patients ended. In 1951, the hospital became an annexe of the Hospital for Diseases of Women in the adjacent Archibald Place. The hospital finally closed in 2008 and a major redevelopment of the site began. Much of the rear was demolished and replaced with a new structure designed to meet the needs of 21st century patients - however, the front and many original features have been renovated. It re-opened as a Sexual Health Centre in 2011 and continues to serve the community it was built for over 150 years ago, at the bequest of a plumber from the Canongate. The images show a rear view of Chalmers Hospital and gardens from approximately the late 19th century (ref. LHB4/4/7/2) and a photograph of the front of the hospital from the late 1970s (ref. LHB4/4/7/15). In the later view, Lauriston Building and the Princess Alexandra Eye Pavilion are visible in the background. Last Friday, LHSA had the opportunity to take part in the annual Royal Edinburgh Hospital Fete. The event has been on our calendar now for a number of years, and it’s been a pleasure to take an ongoing part in the institution that has generated our most widely-used collection. Along with the craft stalls, live music – yes, we did hear a piper making his way through the hospital corridors! – and home-baking, there’s also a historical element to the fete every year, and that’s where we come in. LHSA Manager Ruth put together a small display demonstrating how the history of the hospital is reflected in our collections in the fete’s History Room, from the first minute book of the hospital to photographs of its buildings in times gone by. By far the most popular items on the day were examples from our photograph collection. Not only did we represent the Royal Edinburgh Hospital, but also Bangour Village Hospital. Since many clinical and support staff who came to see us worked across both buildings, they could see the changes that had occurred across the sites. Perhaps some of the most arresting images we displayed in this centenary year came from the First World War, when both hospitals housed military patients, with Bangour Village Hospital being taken over by the War Office to treat physical casualties of war and the Royal Edinburgh Hospital treating soldiers suffering from the conflict's psychological effects. Left: Unidentified First World War soldier from LHSA's Bangour Village Hospital collection (P/PL44). 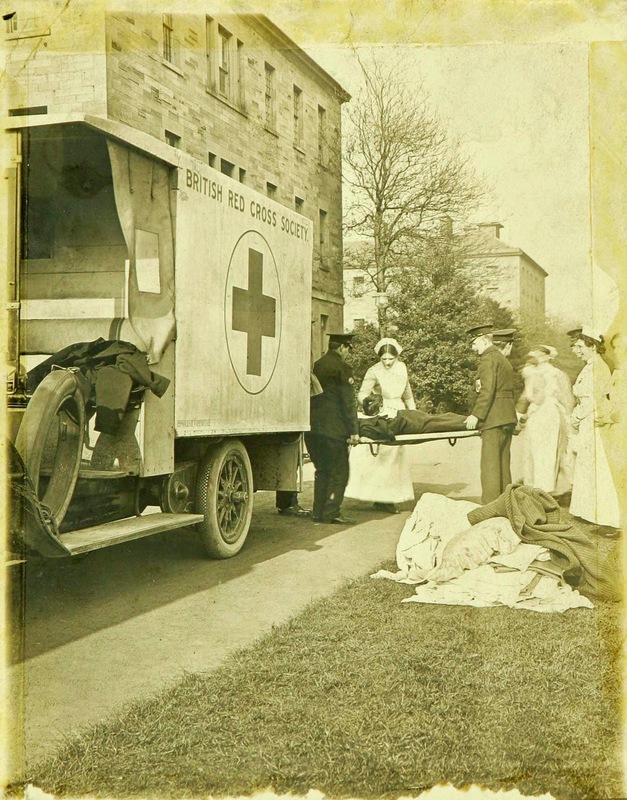 Right: Red Cross ambulance at the Royal Edinburgh Hospital, First World War (P/PL7). We know that this lady was likely to have been a celebrity visitor, but we have had no luck in identifying who she is. As Blue Peter used to say, answers on a postcard, please…. Hi, I am Stephen Bournadet, a 26 year old intern with LHSA. I will be working for 10 weeks on various on﻿﻿going projects, involving cataloguing, conservation, outreach and fundraising. First a bit about myself: born between Bordeaux and Cognac in France, I graduated 3 years ago with a Master’s degree in Archives / Records Management from Aix-en-Provence. Then, after spending one year working in various places, I felt that I needed to travel while young and I came to Edinburgh where I secured a job as a language assistant. Falling in love with the city and my girlfriend (ah l’amour!) I want to stay here so I’ve started a MSc in Records Management and Digital Preservation at the University of Dundee (which I will complete by the end of 2015). Since arriving I have also been volunteering in various places, such as the National Library of Scotland and the Records Management Section (RMS) of the University of Edinburgh. The RMS is mainly involved in providing the university staff with guidance on record keeping and on handling Freedom of Information requests. From an archive point of view the RMS manages and prepares the records prior to their transfer to the University archives when they are no longer of business value. From a personal point of view, whilst I’ve really enjoyed my work there I must acknowledge that LHSA’s large windows on the 5th floor of the Main Library with views of the Pentland Hills are leading in the best office match! So far after two weeks working on the Norman Dott case note cataloguing project, I have to say that I haven’t been bored for a second. Luckily I haven’t been affected by some very detailed descriptions of patient’s conditions and I quite enjoyed trawling through poetic Latin and Greek medical terms (such as ataxia, hemiparesis or diplopia). Before working with LHSA I already had several forays into medical archives. Three years ago I classified and catalogued archives of a French local health board during WWII, discovering how life under German occupation was harsh (when Jewish doctors were banned from practice, even if hundreds of thousands of refugees had arrived). Last year, while on an internship at the University of Dundee archives, I worked with the Tayside asylums’ archives, carrying out research for relatives from as far away as Australia. My current work with LHSA is part of a wider project funded by the Wellcome Trust and involves cataloguing around 26,500 patient case files from collections relating to Norman Dott (1897-1973). Dott was a pioneering Edinburgh neurosurgeon and his records, spanning 40 years (1920-1960), are an invaluable source for history of medicine and genealogic research. The LHSA team and I (modestly) are gathering information on each case (for example patient age, profession and medical conditions) to create an online publically accessible catalogue. We work with EAD-XML (Encoded Archive Description), an informatics language standard. EAD is widely used by the archive community and allows standardization of digital catalogues. What has most struck me in this work is how developed surgery was in the 1950s and how efficient. In the case notes we find numerous examples of people who are severely incapacitated by conditions such as back pain or brain tumours. Patient care and surgical treatment could bring a huge relief and allow them to return to a normal life. Overall a very good experience so far, see you in three weeks for an update on my job here! 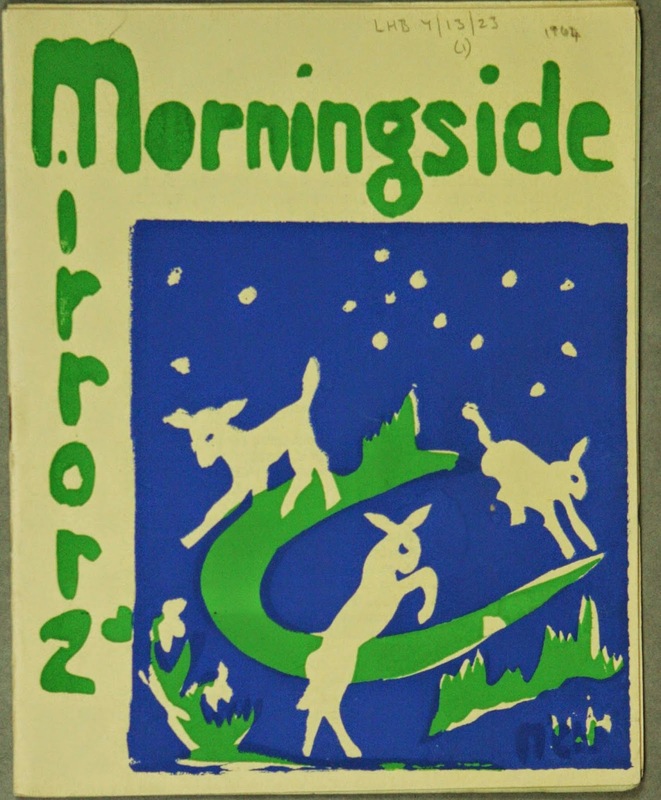 Over the past few years we’ve been involved in a couple of great projects to create artwork for hospital spaces, where items from the archive have been the starting point for others’ artistic endeavours. The first, ‘Narratives’, used our historic bed plaques coupled with modern relief bronzes to tell the stories of domestic and nursing staff at the Royal Infirmary of Edinburgh, medical science, the role of subscribers before the NHS and the coming of the NHS itself. 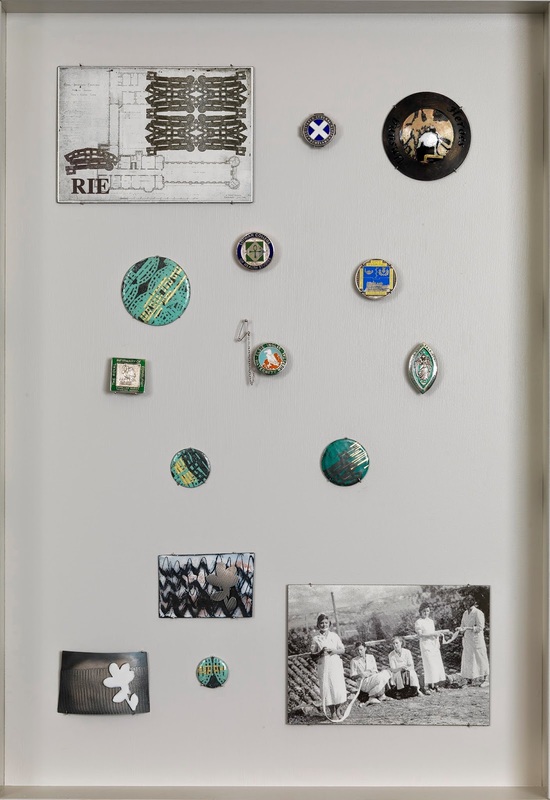 The second, ‘Unsung Heroes’, looked more closely at the nursing experience and the end result was three cases of historic nursing and hospital badges and new jewellery pieces from Edinburgh College of Art students and tutors. More recently we’ve been involved with the Royal Edinburgh Hospital’s bicentenary celebrations, which saw a fantastic art installation at the Talbot Rice Gallery and a wonderful story by an award winning author produced after extensive research in the archive collections. It’s really exciting for us to see how LHSA’s collections can be used by different people for such different ends - from academic research to artwork - and we’re always open to new projects in which we can get involved. The last couple of weeks have seen us take part in two inspiring meetings in which the foundations for future projects using the archive to improve therapeutic spaces in local hospitals have been laid. We look forward to continuing to work with Susan Grant, NHS Lothian’s Art Manager, and Gingko Projects (we collaborated with them on both ‘Narratives’ and ‘Unsung Heroes’), and now we have new partners in the shape of the Royal Edinburgh Hospital for Sick Children’s artists in residence - Cate James and Linda Cracknell, an illustrator and writer respectively. These projects are often a long time in the making as ideas are shaped into something concrete over the weeks and months, but watch this space!